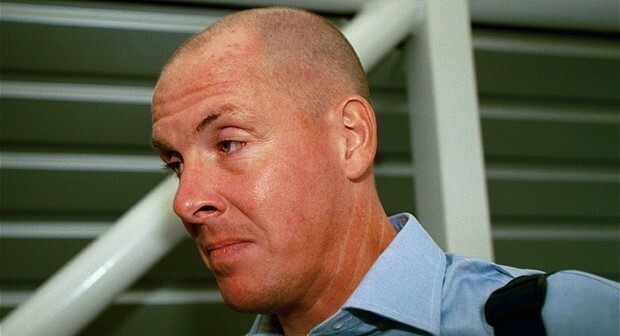 Nick Leeson - Man Who Destroyed UK's Oldest Bank with One Trade!! Nicholas Leeson, had well established track record of being a savvy operator in the derivatives market and was the favourite of the top management at the Barings Bank headquarters at London. He was the head of derivatives trading, responsible for both front and back office, at Barings Futures, Singapore (BFS), a subsidiary of Barings Plc., London. Leeson engaged himself in proprietary trading on Tokyo Stock Exchange Index, Nikkei 225. He was operating simultaneously on Singapore Exchange – Derivatives Trading Ltd., (SGX – DT) (erstwhile Singapore International Monetary Exchange, SIMEX), Singapore and Osaka Securities Exchange (OSE), Japan in Nikkei 225 futures and options. His crime started back in 1992, when he was covering up for a junior colleague who lost £20,000 on the trading floor one day. Leeson set up the error account 88888 to hide the bad trade, but then he started using it himself. Any bad trade he could hide in this account, which bizarrely was never checked by a compliance officer or senior management, mostly because Leeson was in charge of the Singapore back office himself. By Christmas 1994, Leeson was sitting on losses of £280 million – catastrophic but not fatal for the bank, which had about £350 million to its name. A major part of Leeson’s trading strategy involved the sale of options on Nikkei 225 index futures contracts. He had sold large number of options straddles (a strategy that involves simultaneous sale of both call and put options) on Nikkei 225 index futures. Without going into intricacies, it may be understood that this straddle position results in loss, if market moves in either direction (up or down) drastically. His strategy amounted to a bet that Japanese Stock Market would neither fall nor go up, substantially i.e. he had the stable price perspective towards Japanese Market. The Japanese stock markets started falling on the news of a violent earthquake in Kobe, Japan. With futures on Nikkei 225 going down, his straddle position started incurring loss. In pursuit of profit from his straddles, he started supporting the index by building up extraordinarily huge long positions in Nikkei 225 futures on both the said exchanges SGX – DT and OSE. However, the management of Barings was made to understand that Leeson was doing Nikkei 225 index futures arbitrage between SGX-DT and OSE. When OSE authorities raised alarm about his huge long positions on the exchange in Nikkei 225 futures, he claimed that he had built up exactly opposite positions in Nikkei 225 on SGX - DT i.e. if his positions in Nikkei 225 at OSE suffer losses, these losses would get compensated by the profits of his positions at SGX - DT. Similar impression was given to the SGX - DT authorities, when they inquired about Leeson’s positions. Leeson kept giving misleading information to both the exchanges and neither of the exchanges bothered to crosscheck Leeson’s positions on the other exchange because they were competing for business in Nikkei 225. Both the exchanges were more concerned about the protection of their financial integrity than anything else and so, allowed even the exceptionally large positions to Leeson after securing adequate margins. The result is known to everyone. Single operator could not take the market in his desired direction and market fell down drastically. Result was, Barings blasted by registering an astonishing £832 million loss on Leeson’s both futures and straddle positions.